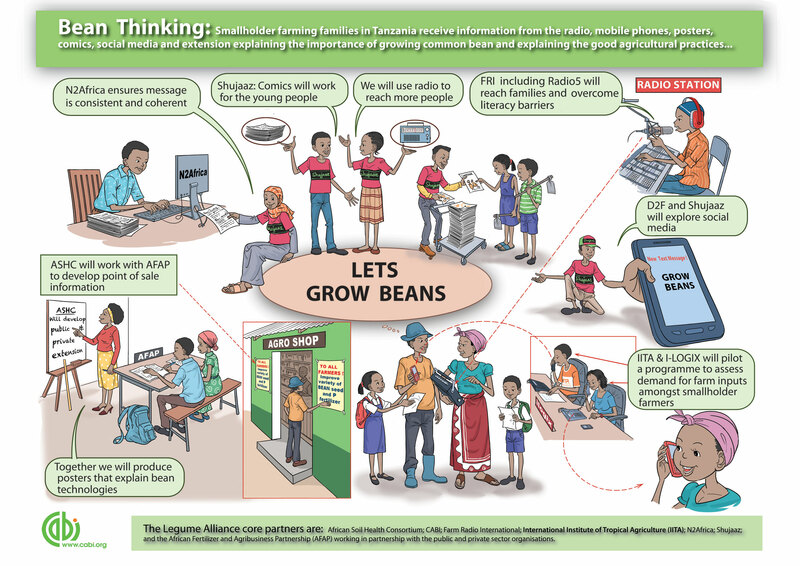 Dannie Romney writes the second blog entry: At the Legume Alliance we are trying to get information about growing common beans into as many smallholder-farming households as possible. We are doing this in two ways. First using a wide range of media and second we are selecting media that will be accessed by every member of the farming family. We anticipate that each set of messages will be nuanced for particular audiences – but that N2Africa in particular, will help ensure that the message are consistent and coherent. Shujaaz will use mass circulation comics, Cloud FM radio and social media to target younger members of the farming families with inspirational ideas on new varieties and good agricultural practices. Comics will be published in July and September. Farm Radio International will work with Radio 5 because radio is great for reaching low literacy families. Often the whole family will listen to the radio so this is also an excellent way to reach women in households. The series of programs will run from July to October 2015. ASHC will work with AFAP to develop point of sale information to be displayed in agro-dealerships. These will often reach the heads of household in smallholder farming families. 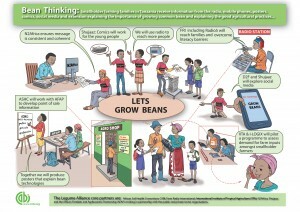 These promotional materials will attempt to work in low-literacy environments, but clearly articulate the qualities and requirements of different common bean inputs – improved seed, pesticides and fertilizers. ASHC will work with extension providers to produce briefing sheets for distribution to field officers to understand the key messages in the common bean campaign. IITA/ ILOGIX will be working on a pilot to assess smallholder farmers demand for farm inputs. Farm Radio International and Shujaaz will help recruit the 7,500 smallholder farmers for the pilot information gathering exercise. In addition to developing the campaign we will be working hard to share the lessons. We will be blogging to tell you how the project is developing. In addition, between November and February 2016, we will be working with KIT to pull together lessons and measuring the effects of the campaign. We will be sharing these reports on the ASHC website. So please follow our journey by reading our blog.